The first psalm, quite a favourite and for good reason, invites a reader opening the Psalter to study these poems — the ‘law of God’, the principles and ethical outline of a cosmic system based on love. The psalmist assures us that such meditations will be a source of great delight. 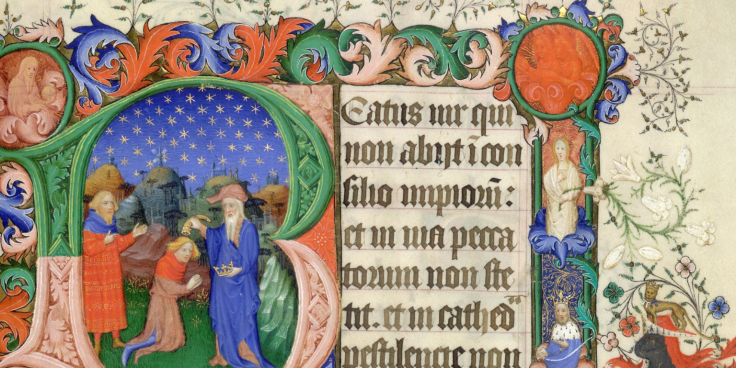 The first steps suggested in this psalm are to eschew company and activities that are not in tune with this divine love together with justice and equity — themes that are implied here to recur throughout the Psalter. This psalm arose in the Lectionary only last May. Go to the relevant post to read more about this fine song. Together in Song begins at TiS 1 with a traditional Thai tune for this psalm. It’s pentatonic, and could easily have emerged from several Asian countries in the area. A simple tone and response setting at PFAS 1B would provide an easy and pleasant return on a little preparation time. The New Century Hymnal and The Emergent Psalter take a similar approach using different texts for the refrains. Again, turn to the May 2018 post for more on the music.